SPASalah Khashoggi, the son of journalist Jamal Khashoggi, left Saudi Arabia this week. Here he is with Crown Prince Mohammad bin Salman in Riyadh earlier this week. Salah Khashoggi, the son of slain journalist Jamal Khashoggi, arrived in the US on Friday, the BBC reported. He was reportedly barred from leaving Saudi Arabia due to his father’s critical reporting on the kingdom. The travel ban was lifted on Thursday and the younger Khashoggi flew to Washington DC this week, the Daily Mail reported, citing Human Rights Watch. Salah Khashoggi’s arrival in the US came as Saudi Arabia changed its narrative on Jamal Khashoggi’s death yet again. The kingdom on Thursday said that the journalist’s death was preplanned, but continued to distance its leadership from it. The son of slain journalist Jamal Khashoggi has arrived in the US, the BBC reported on Friday. It comes after he was reportedly barred from leaving Saudi Arabia. Salah Khashoggi, Jamal’s eldest son, landed in the US on Friday with some of his family members, the BBC reported. He is a dual US-Saudi citizen, while his father held a green card and lived in the Washington, DC, area for at least a year before his death in early October. Jamal Khashoggi, a journalist who criticised Saudi Arabia’s monarchy in columns for the Washington Post, died inside the Saudi consulate in Istanbul on October 2. Riyadh initially claimed that Khashoggi left the consulate shortly after his arrival, then acknowledged the death last Friday, claiming it was an accident. 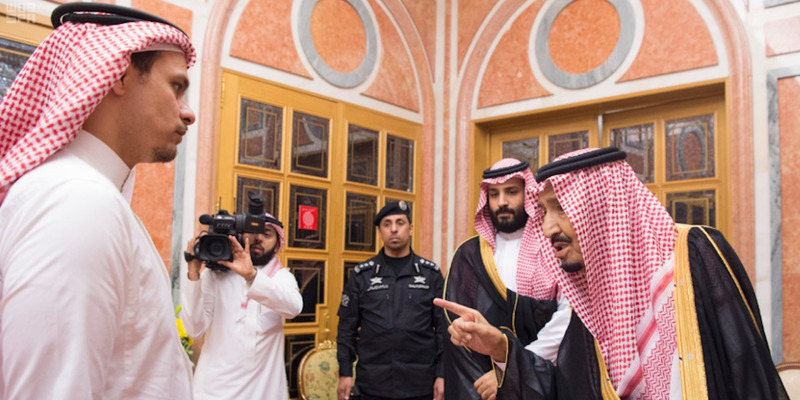 On Thursday the kingdom changed its narrative again by saying that Khashoggi’s death was preplanned. 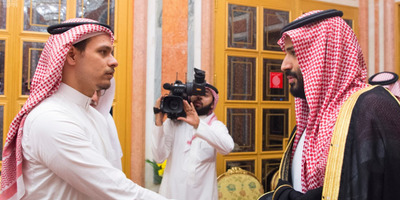 Hamad I Mohammed/Reuters; Middle East Monitor via Reuters; Matt Dunham – WPA Pool/Getty ImagesA composite image of Saudi Crown Prince Mohammed bin Salman and Jamal Khashoggi. 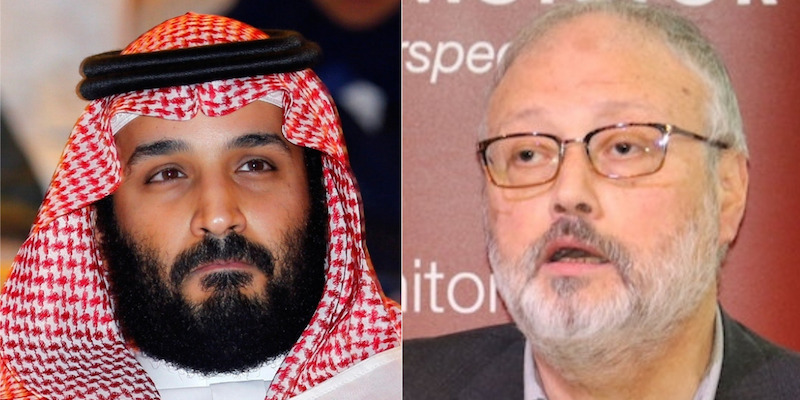 Salah Khashoggi’s arrival in the US came after reports that he was not allowed to leave the kingdom in connection with his father’s critical reporting on Saudi Arabia. It’s not clear when that travel ban was put in place. Saudi authorities lifted Salah Khashoggi’s travel restrictions on Thursday and he flew to Washington, DC, with some of his family members later that day, The Daily Mail reported, citing Human Rights Watch Middle East director Sarah Leah Whitson. It is not clear who those other family members were, or whether they will travel elsewhere after landing in Washington. Business Insider has contacted a representative for the Khashoggi family for comment. Saudi Arabia does not generally recognise dual citizenship, and Khashoggi likely would have had to use his Saudi passport to leave the country, NBC News reported. However, travel authorities did not prevent him from leaving the country, the network reported, citing three people familiar with the case. SPASalah Khashoggi met Saudi King Salman on Tuesday. Salah Khashoggi’s arrival in the US comes three days after appearing in staged photos with Saud King Salman and Crown Prince Mohammed bin Salman, whom many believe ordered his father’s killing. The state-run Saudi Press Agency posted photos and a video of the meeting on Tuesday. Riyadh claimed last week that Khashoggi’s killing was part of a “rogue operation” unknown to the Saudi crown prince and intelligence services. But Turkish intelligence sources told Reuters that the operation to kill Khashoggi was coordinated via Skype by one of Crown Prince Mohammed’s top aides. There was no indication in the official Saudi statement on Thursday, however, that the kingdom had dropped its narrative that Khashoggi’s death was part of a rogue operation. The United Nations on Thursday said Khashoggi’s death “bears all the hallmarks of an extrajudicial execution” committed by people “high enough to represent the state,” but stopped short of attributing blame to the kingdom’s leadership.